I am very excited and honored to be involved in this organization, which by all records known, dates to antiquity. For me, the time I spend here with like-minded men, is a reprieve from all the noise of the world. The fact that this institution continues to operate as it has done for centuries with little or no alteration to its ceremonies, customs, and rituals is a testament to its solidity and stability – something we so desperately need in society today. 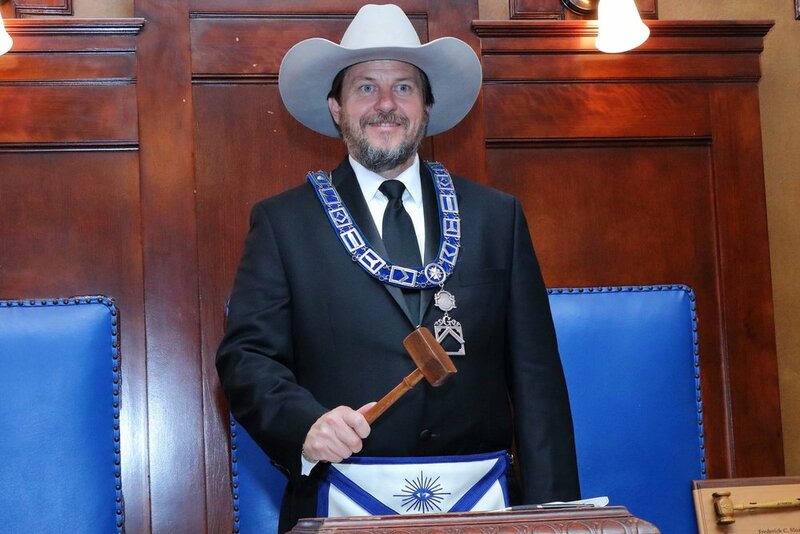 I am honored to have been selected by this lodge, the members hereof, to fulfill the role of Worshipful Master this Masonic year and will do my best to continue, along with my fellow officers, past masters and membership to build upon the foundation of our lodge, which I firmly believe has been solidly constructed true & square. In Masonry we speak of brotherhood, honor, integrity, and loyalty. We talk about education, we talk about charity, and we talk about faith. We have stories and symbols to help us understand how we, as Masons, should act. It is to this end, and supported by the three symbolic pillars of Wisdom, Strength and Beauty, that we can learn from each other and grow together as men and Masons. We gather as a fraternity in order that we might improve ourselves to be better husbands, fathers, sons, employees, managers, leaders, and to be active in helping our fellow brother Masons do the same. Because if we wish to improve our community, our society, our country, it has become apparent that it can only be done person by person. Or in our case, Mason by Mason. If you have interest in learning more about Masonry – contact us. If you are already a Mason – visit us. This year we will have our annual family picnic at the Scottish Rite Hospital picnic grounds on Sunday Sept 10th. We have meetings 2nd Tuesday of every month and meet almost every other Tuesday evening.